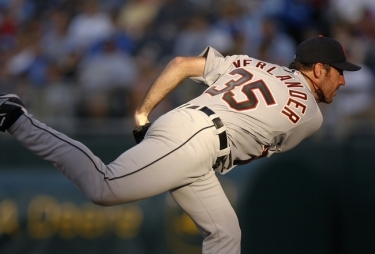 Positive Detroit: Justin Verlander Is The 1st Pitcher Since 1992 To Be Named The AL MVP! Justin Verlander Is The 1st Pitcher Since 1992 To Be Named The AL MVP! "It was such a relief to get that phone call," Verlander said in an ESPN "SportsCenter" interview minutes after the announcement. "Obviously, I want to say it's a dream come true, but winning the Cy Young was a dream come true." "(The MVP) means so much, I couldn't have even dreamt of it," he told ESPN.